We’ve just embarked on a period of real winter storms. They started yesterday, gathering full momentum over the evening and night. By the time we went to bed just before midnight, they were into full rampaging mode. I lay awake and marvelled at the sound. Yet, curiously, when I woke in the early hours, the storms had completely abated – no sound at all. But they are back now. 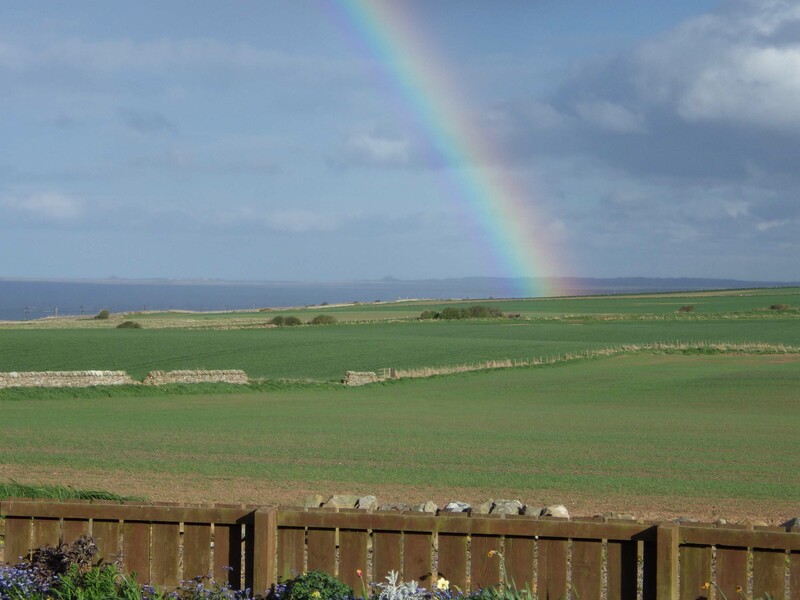 Our house sits on an east-west axis; to the north lie the old steading courtyard and more buildings; to the south are the open fields, sea and the view down the coast to Lindisfarne. We are protected from the brunt of the nasty cold Northerlies, North-easterlies and North-westerlies by the rest of the steading buildings. Westerlies stream along the length of our house and are funnelled by the shape of the buildings out to sea. It is the dirt-laden, shifty Southerlies that we hate most. They blast over the flat coastal lands before the house, and slam into our buildings. You might think they would be balmy, warm and good-natured (and of course some are), but most are edgy and difficult. Our windows are grimy from the Saharan dust they carry. And if they are really boisterous and bad-tempered, the gusts will slam down our chimney and can put out a blazing fire with one casual puff. Right now the winds are all over the place. The only common factor is that they are powerful. They find out every little nook and cranny and we are cold, cold, cold. I sit typing looking just like a comfy old rotund teddy-bear because I have so many layers of clothing on. 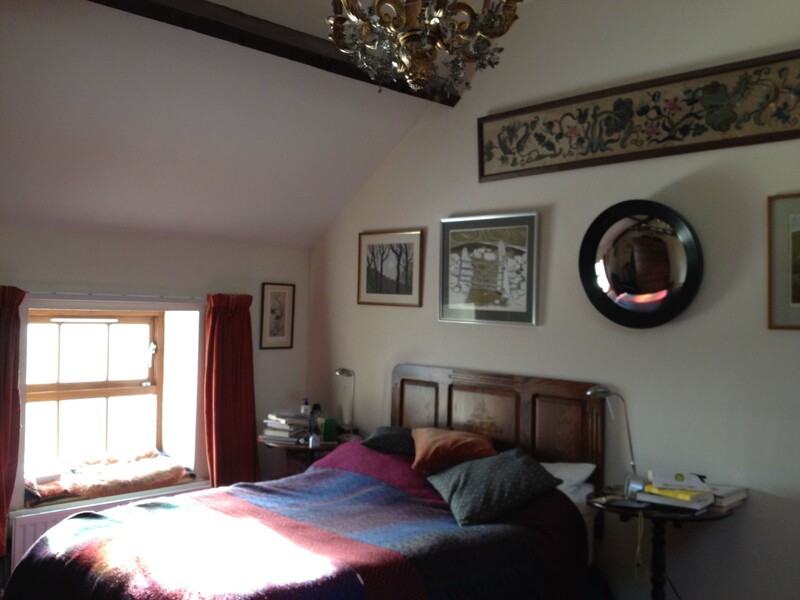 Our bedroom is right under the eaves so bedtime when the winds blow does not mean peace and quiet! In fact it can be blowing a gale and we are hardly aware of it. At other times the slates rattle persistently. It all depends on the wind direction. It seems to be when the wind strikes the roof obliquely rather than sideways on or straight at it. Last night we went to bed with 40mph winds and it was hard to get to sleep with all the rattling. By morning the wind had not abated but had swung round further to the north and we were hardly aware of it. When we first arrived here, – indeed our first night here! – a storm blew up, and the winds lashed against the roof. I lay in bed and thought how mad we had been to come to this dreadful, frightening place. Now I lie in bed and marvel at the sound. Often the winds just grumble round the roof. Nights when they complain like last are extraordinary – and to be wondered at. Not that I always think that. I have discovered that I can take about 3 days of windy noise, and then I have had enough. Please please oh go away oh noisy wind. For the moment the thing is to keep warm and busy. We only experienced one storm while we were staying in your town. It was spectacular. I can’t even imagine what it must be like to live with for days. Wind can be maddening, literally.